The Big Idea: The civilizations that developed in Greece and Rome had an enduring impact on later civilizations. This legacy includes governance and law, engineering and technology, art and architecture, as well as literature and history. The Roman Empire also played an instrumental role in the spread of Christianity. Big Idea 2: The ability to understand individual and group perspectives is essential to analyzing historic and contemporary issues. I can cite examples and explain the enduring impact Greece and Rome had on later civilizations. I can demonstrate that understanding individual and group perspective is important to analyzing historic and contemporary issues. ​Use the Prezi below to complete both PART A and PART B of the note sheet you receive in class. Keep this sheet when you finish. Hagia Sophia - Church of "Holy Wisdom"
This is a great video that shows the inside of the Hagia Sophia. Notice the blend of Byzantine and Islamic artwork. ​In 476, when the Roman empire collapsed and the western half was conquered by Germanic tribes, the empire of the east remained strong. This empire, as we have discussed, became known as the Byzantine Empire. Like Rome, it was ruled by emperors. Probably the most famous and influential of these was Justinian I. His rule lasted from 527 - 565. Justinian was actually born into a lower, peasant class family within the East Roman Empire. It was his uncle, the emperor Justin, who he inherited his power from. Justin had no sons and Justinian was his favorite nephew. Justinian was married to a woman named Theodora. Theodora was very unpopular with the people of the empire due to her lower class upbringing and previous job as an entertainer. Even so, Justinian valued the opinion of his wife and she had great influence in creating laws. Especially laws that protected the rights of women. Justinian even named her "co-empress" of the empire. Justinian ruled from the capital city of Byzantine empire, the city of Constantinople, which today is called Istanbul. Not only was the emperor of the empire in charge of the government, he also was the leader of the Christian Church. One of Justinian's goals was to reconquer the lands of the old Western Roman Empire and unite it with the east the way it once was. During his rule, the Byzantine Empire fought many wars and campaigns in order to try to achieve this goal. Although he was very successful in taking back most of the lands from the invading Germanic Tribes, it was extremely expensive for the empire. Justinian eventually had to give up his dream of a reunited empire due to the excessive costs. Probably the most influential and long lasting impact Justinian had on the world involved the law. Justinian established a committee to relook at old Roman laws, reorganize them and update them. Justinian created a written code of laws, called the Justinian Code. In many ways this code gave people equal rights but others, especially non-Christians were often not included. 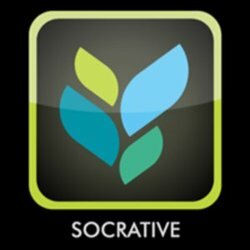 Click on the link for socrative. Answer the questions as you go. Use the explanations to fill in any gaps you might have in your notes. If you have not finished and submitted the following assignments then you need to complete them! ​If you have finished EVERYTHING above, you may work on the Quarterly Extra Credit Assignment. The link to the page with directions and resources is to the right. DO NOT MOVE ON BEYOND THIS POINT!!! Procopius is one of those writers that present us with the little mysteries of history. He writes several books praising the emperor and his accomplishments, then he turns around and writes The Secret History, in which he describes the reigning emperor Justinian and his empress Theodora as the most dishonorable and treacherous people on the face of the Earth, always betraying their friends and supporters and condemning innocent men and women to exile, death, or dungeon. Procopius wrote all of his works while Justinian was still on the throne in that period of time when the Eastern Roman Empire was evolving into the Byzantine Empire. He was the personal secretary of Belisarius, Justinian’s very capable and successful general who reconquered North Africa and Italy for the Roman Empire, throwing the Vandals and Ostrogoths from power in these former Roman provinces. Historians are still trying to guess why Procopius wrote so favorably about Justinian at first, then wrote the scandals in The Secret History, and then turned around and wrote glowing accounts of Justinian’s accomplishments again. Obviously, this work could not be published during the reign of Justinian and was only published after A. D. 535, the year in which both Justinian and Procopius died. ​Below are two quotes about Emperor Justinian by his official court historian, Procopius. One is written in his official account and the other is written from his Secret History. It is, indeed, a proof of the esteem with which God regarded the Emperor, that He furnished him with men who would be so useful in effecting his designs, and we are compelled to admire the intelligence of the Emperor, in being able to choose the most suitable of mankind to carry out the noblest of his works. Which quote do you think is taken from Procopius' Secret History? Give evidence from the quote to support this claim. Many people who study the reign of Justinian would say that he was something of a paradox (he contained both good and bad qualities). His reign is both simultaneously revered (loved) and reviled (hated). Now that you have learned a bit about the rule of Justinian during the Golden Age of the Byzantine Empire, you will use the information you have found to make an informed decision about the popularity of his reign and enduring impact you think he had. This assignment will require you to use evidence to support your claims. Explain two different perspectives people living under Justinian's rule may have had about him as a ruler and why. Then evaluate the legacy you think he had on the world today. So what should your essay include? Identify at least 2 different perspectives (opinions) that people living in the Byzantine Empire would have had about the emperor Justinian. (Christians, Non-Christians, Women, Wealthy citizens, Poor citizens, etc.) 4 pts. - Organized (well constructed paragraphs and sentences), spelling and grammar checked, legible . 4 pts. 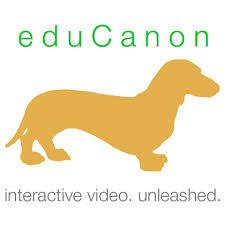 Click on the eduCanon image to log in and view a video that discusses creating a "killer thesis statement."